Republicans have controlled the House since 2010 and the Senate since 2014, but a host of education proposals introduced and advanced by the GOP could not become law over Democratic opposition in the White House. Some, like abolishing the Department of Education or allowing federal funding to follow children as they transfer between schools — known as portability — are probably still long shots, because there isn’t broad support or a must-pass bill that could include the provisions. Others, like tax credit scholarships, could easily find a home as part of a bigger tax law overhaul. Here, in order of likelihood of enactment into law, are some GOP proposals that could see movement under a unified Republican government. 1. D.C. Opportunity Scholarship renewal – Since 2004, the federal government has funded a $20 million program for low-income students in Washington, D.C., to attend private schools in the city. About 6,500 students received scholarships from the start of the program through last year. It has the support of several Democrats, and Congress was able to push through a reauthorization earlier under President Obama, so there’s no reason to think that won’t happen again. Ninety-four percent of “education insiders” in a recent Whiteboard Advisors poll said they believe the program will be reauthorized. “While there are no givens in legislation or politics, [reauthorization] should be a given in terms of this political dynamic,” Greg Brock, executive director of the American Federation for Children, said at a recent AFC-sponsored event on education and the election. 2. Perkins Career and Technical Education law reauthorization – A bipartisan reauthorization of the federal program supporting career and technical education in K-12 and higher education passed the House by a wide margin in September. 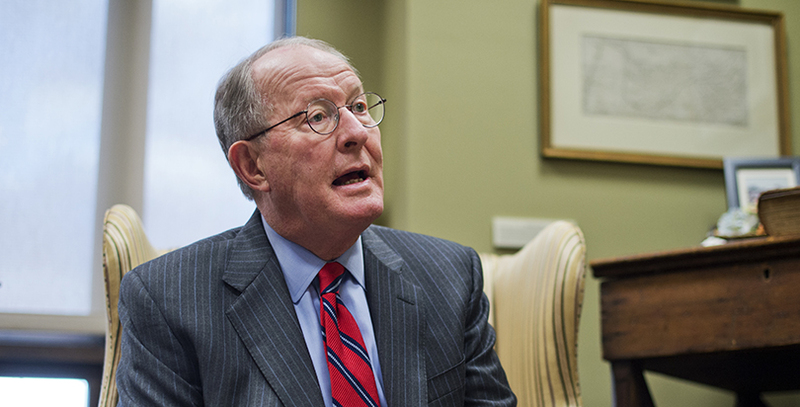 Senate education committee chairman Lamar Alexander delayed planned hearings on the bill, reportedly over ongoing fights with the Education Department over implementation of the Every Student Succeeds Act. This year’s bipartisan bill could be a good place for legislators to start next year. In keeping with the GOP’s federal-hands-off ethos, this year’s bill would let states figure out how to improve poor-performing programs (instead of negotiating with the feds) and would institute a bevy of prohibitions on the federal government mandating or incentivizing curriculum (a shot at Common Core also included in the Every Student Succeeds Act). A GOP bill would likely adopt those and possibly more restrictions. 3. Rollback of healthy-school-lunch rules – Republicans have long pushed to roll back many of the law’s nutrition standards in the school breakfast and lunch program, like those requiring more fruits, vegetables and whole grains and less salt, sugar and fat. Republicans say the rules — part of First Lady Michelle Obama’s landmark Let’s Move initiative — make the program too expensive for many schools and kids don’t like the food. House Republicans are looking to delay implementation of some of the rules on a government funding bill that must be passed next month, but that’s a nonstarter for Democrats, the Associated Press reported. The full law was due for reauthorization in 2015. Members of the Senate agriculture committee passed a bipartisan compromise earlier this year, while Republicans on the House Education and the Workforce Committee approved a bill that would provide a window to roll back the nutrition standards and end rules that limited unhealthy snacks. It would also scale back the “community eligibility” provision that allows schools to serve free meals to the entire student body if more than 40 percent of students are eligible. 4. More funding for federal charter school programs – There is bipartisan support for the federal charter school program, which gives grants to help start new schools, replicate high-quality programs, pay for building costs and fund other activities. President Obama has consistently asked for increased funding for the program, and legislators last year increased the allocation to $333 million a year (still less than the president’s request). Perhaps the only block to additional funding would be if Republicans are unable to roll back automatic spending cuts that go into effect next year, or if they choose not to prioritize the charter program over other federal education spending. Trump and Republicans have indicated that a tax overhaul is likely to be among their first priorities in the new year, providing a convenient legislative vehicle for this proposal. 6. 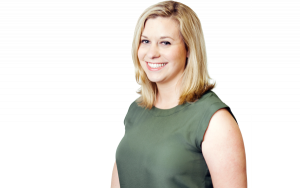 Federal tax credit scholarships – Sen. Marco Rubio of Florida and others have proposed a federal program that would give tax credits to individuals and businesses that donate to organizations providing scholarships to low-income children. Individuals could receive up to $4,500 and businesses up to $100,000. Similar programs existed in 16 states, including Florida, as of January, according to the National Conference of State Legislatures. This program, too, could find its home as part of a larger tax package, though Democrats are probably more likely to oppose creating a new tax benefit than the 529 proposal, which effectively already exists. 7. Scholarships for military students – Sen. Tim Scott of South Carolina has proposed legislation that would create a pilot program for children living on five military bases to receive vouchers to attend private schools. It would provide up to $8,000 for elementary and middle school and $12,000 for high school, and only bases without schools run by the Defense Department would be included. The bill, proposed by Scott and Rep. Todd Rokita of Indiana, also includes provisions reauthorizing the D.C. voucher program and creating funding portability for special education students. It would be easy to separate just the provisions for military students, which could reasonably be included in the annual defense policy bill, increasing odds for passage. 8. Education savings account eligibility for Native American students – Children who live on Native American reservations in Arizona are eligible for state-funded education savings accounts that give their parents control of their state education funding to use for private school, tutoring or other education options. Students attending federally funded Bureau of Indian Education schools aren’t eligible. Arizona Sen. John McCain proposed a bill earlier this year to make BIE students eligible for the same programs in any state that has one. It passed through the Indian Affairs Committee on a party-line vote. Like any of the other proposals that would funnel public dollars to outside the public education system, it’s sure to face opposition from Democrats, which could curtail movement in the Senate. Instead of a stand-alone bill expanding eligibility nationally, a more likely option for this proposal could be as a rider on an appropriations or other Indian Affairs bill, perhaps as a pilot program for a smaller group of students. 9. Special education portability – Scott and Rokita’s bill creating a voucher pilot program for students on military bases would also provide choice options for students with disabilities. Their bill would provide startup funds for states to create those programs and, in states that do have them, allow federal funds issued under the Individuals With Disabilities Education Act to be used in those choice programs. Fifteen states have at least one program that provides public support for special education students to attend private schools, according to EdChoice, the private-school-choice advocacy group formerly known as the Friedman Foundation. A provision like this could be included in a reauthorization of IDEA (which is overdue), though a top aide to Sen. Alexander said last week that the current iteration of IDEA is working well, so a reauthorization likely isn’t a top priority. 10. Title I portability – Republican school choice advocates have long proposed allowing Title I funds that aid the education of poor children to follow them as they transfer between schools. Smaller-scale proposals would allow the funds to go just to traditional public and charter schools; the full-bore effort would allow the money to go to private schools as well. Details of the president-elect’s $20 billion plan for school choice, which he said would create vouchers for low-income students, are scarce, but it’s probably a safe assumption that the $15 billion in Title I money would be a large portion of it. There are several roadblocks to such a plan. First, implementing it would be a Herculean bureaucratic and legislative task. “When people talk about Title I portability, on paper it sounds like a really good idea. In practice, how you do it actually requires Congress to come along. There are just a lot of procedural things that you have to overcome. If he [Trump] definitely wants to do it and has staff who are actually pushing for it, there is a path forward, but in the past it’s just always been an idea,” Rees said. Another issue is that the main legislative vehicle for such a plan, a reauthorization of the Elementary and Secondary Education Act, already took place with the 2015 passage of the Every Student Succeeds Act. Some Republicans also oppose the measure. Scott proposed the idea as an amendment to the Every Student Succeeds Act last year, and senators rejected it, 45–51. Seven Republicans and all the Democrats voted against it. 11. Full federal funding portability – Republicans have also proposed an even more expansive voucher program that would include not only Title I but other federal funding, like programs dedicated to teacher training and career and technical education. It would be somewhere around $23 billion annually, based on current federal spending. Like Title I portability, a more expansive program lacks a clear legislative vehicle, and Congress has considered and voted down the idea. The Senate rejected it, 45–52, when Alexander floated it as an amendment to the Every Student Succeeds Act. Eight Republicans opposed it, as did all Democrats. 12. Gun-Free School Zone law repeal – The most conservative Republicans have for years advocated overturning a federal law from the 1990s that prohibits people from bringing guns within 1,000 feet of a school. The NRA and other gun advocates have argued that the law makes schools a target for people seeking to do harm because shooters know that there’s no one with a gun to defend against them. Supporters point to the dramatic disparities in students who are shot, are murdered or commit suicide at school versus off school grounds. Trump has at various points pledged to the NRA that he would work to overturn the law but then sort of walked back that promise. And Republicans in the House have introduced bills in recent years to overturn the law. But given public support for more gun control, not less, in the wake of recent mass shootings, it seems unlikely Republicans would try to remove these protections or that, if they did, they could overcome a filibuster by Democrats. 13. Abolishing the Education Department – Republicans, who argue that education is not the purview of the federal government, have proposed abolishing the Education Department almost since its inception in 1980. Trump during the primaries also floated the possibility, which he inaccurately conflated with eliminating the Common Core. Doing so would be a massive undertaking. The federal government, through the Education Department, holds more than $1 trillion in student loans, a volatile, unattractive portfolio that would have to be sold to the private market. Other federal grants and programs would have to be either given straight back to the states or administered through other departments. Reconfiguring those responsibilities would cost millions. Perhaps more than anything else, the idea is wildly unpopular. When the House considered a similar provision, an amendment that would allow states to receive federal education funds with no strings attached (an idea often called the “A-PLUS Act”), all Democrats and 49 Republicans voted against it. The public is also not interested. A March Gallup poll found that just 18 percent of respondents supported then–presidential candidate Ted Cruz’s plan to eliminate the departments of Education, Energy, Commerce, and Housing and Urban Development.